We make the payment to you or arrange by EFT to your nominated account. We store your vehicle in our secure car storage warehouse. You pay us an agreed monthly payment for a period you agree. Your car/motor vehicle is returned to you when loan is fully paid. Give us a phone call with the make, year of manufacture, colour and kilometres on your car and we will give you quote which will be confirmed upon our representative viewing your vehicle. Get a cash loan quote over the internet – simply fill out the quote form with the required vehicle details and attach some photos of your vehicle, just follow the prompt it’s really easy. Emergencies and unforeseen events can happen, often leaving you with no time to prepare yourself for them. At Cash Paid For Cars, we understand that in such situations, you don’t want to go through the hassle of taking a loan from your bank. Hence, we offer short term loans for the assets you own like your car or any other vehicle you own. Short Term Loans are taken with the purpose of paying them back quickly, in a much shorter duration than loans like car loans or house mortgages. They are gaining in popularity amongst Australians looking to meet instant cash requirements. Our short term loans for cars are 100% safe, confidential and simple to obtain. 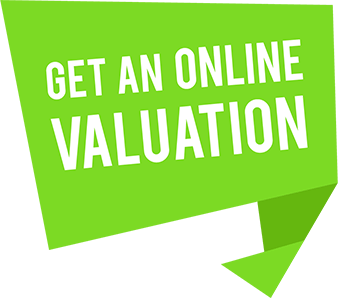 See our Online Valuation page to get an instant short term loan for your vehicle. Cash Paid For Cars offers same day cash loans making borrowing money a simple, stress-free, immediate process for you. You just need to bring us your car’s registration papers and walk home with cash in your pocket. Don’t have the time to come down to us? You can also apply for a cash loan over the internet. Simply fill in the quote form on our website and provide pictures of your vehicle (interior and exterior from all sides, back, roof, boot when open, tyres, and the motor). Our experts will inspect your vehicle (or assess from photos) and provide you a quote. Once agreed upon, the entire process takes a few hours and you walk away with your money on the same day. If you need financing to meet urgent short-term cash needs but your credit history is worrying you, we have an easy solution for you. Cash Paid for Cars offers short-term and fast cash loans for cars without checking your credit history. Sounds too good to be true? Wondering how do we offer cash advance with no credit check, while your bank can’t? It is simple. We don’t judge you for your financial history. We assess you on your capability to repay the loan! Furthermore, while we won’t ask for your credit history, you will be asked to provide proof of employment and regular income (or income from Centrelink if applicable), your bank statements of last three months and details of any outstanding debts (credit card payments etc) that you may have. This information helps our expert team evaluate and assess your loan repayment ability. Call us today for a quick quote or speak to our consultants if you have queries. First of all, don’t take cash loans from an unlicensed cash lender or pawn broker. Also, don’t forget to read the fine print – the terms of repayment, duration and interest rates, amount due at the end of term etc. In addition, don’t fill in multiple applications – while the lender will not check your credit history, multiple applications negatively impact your credit rating. Finally, don’t apply if you can’t repay – Non repayment of cash loans can come with dishonor fee which can further increase your debt burden. If you are finding it difficult to get a short term loan from your bank because you have a bad credit history, our Bad Credit Rating Loans are the perfect answer for you! Your credit rating can be affected by a number of factors without you even knowing. For instance, if you missed paying your phone bill or defaulted on a loan or overlooked paying off your credit card debt, or have applied for multiple loans in a short duration of time, chances are your credit rating has taken a hit. In such situations, getting a fast cash loan to meet your urgent needs can be a struggle with banks and financial institutions considering you a financial risk. This is where we come in! Our years of experience and customized cash loan services mean we can offer you a bad credit rating loan without hassle, as long as you meet our lending conditions. Our no credit check, advance cash loan process is easy to understand, fast and very simple. Fast Cash Loans are typically offered to borrowers in need of quick cash. These are best suited for smaller amounts and quicker repayment term loan requirements. Cash Paid for Cars offers tailor-made fast cash loans that are convenient, easy to apply, and have fast turn-around times. The repayment terms can be discussed and altered to best suit your interests. At Cash Paid for Cars, our team of experts work round-the-clock, 365 days a year, to assist you with all your instant cash needs. Our 24/7 cash loans mean you don’t have to worry about arranging for money when faced with an unexpected emergency.